Consulting - Learn What Our Consultants In Brooklyn Can Do For You, Call Now | Joseph Falco Accounting Services, Inc.
With nearly two decades of experience in accounting and financial management, Joseph Falco Accounting is a trusted source for information and assistance planning your business start up, corporate filings, and more. Our accounting firm consults on a multitude of financial issues and assists small businesses and corporations with all of their accounting, bookkeeping, and other important financial needs. Starting a successful business is one of the most complicated undertakings a person can tackle. Before you jump into the process, consider getting assistance from us. We can assist you in filing for your FEIN (Federal Employer Identification Number) and ensure that you are compliant with all other federal regulations. Since it is absolutely essential to plan financially before starting your business, you’ll certainly want the help of experienced professionals to ensure that your business model will be a success. We will create mockup financial statements and calculate necessary data to estimate the probable outcome of your finances as your business progresses in the years to come. We also consult on financial matters for established businesses and corporations. We can provide assistance in investigating your financial standing to ensure that your business is taking full advantage of its assets and its tax credits. 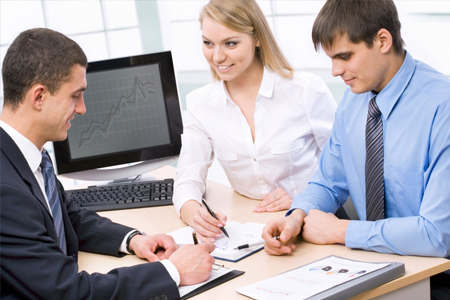 We also provide expert advice on a multitude of other financial matters for small businesses and corporations. The fees for our consulting services are tailored to fit your individual needs and budgetary preferences—allow us to help you reach your goals and build the business you’ve always dreamed of. Contact us today.